We are excited to announce the theme of the 2019 Advanced Class is “Reminiscences of Battle”. It has been proposed by several Nuido members, who wish to honor great teachers, as well as members who have been in the “battle“ or long journey as stitchers, and as people confronting ordeals in life. 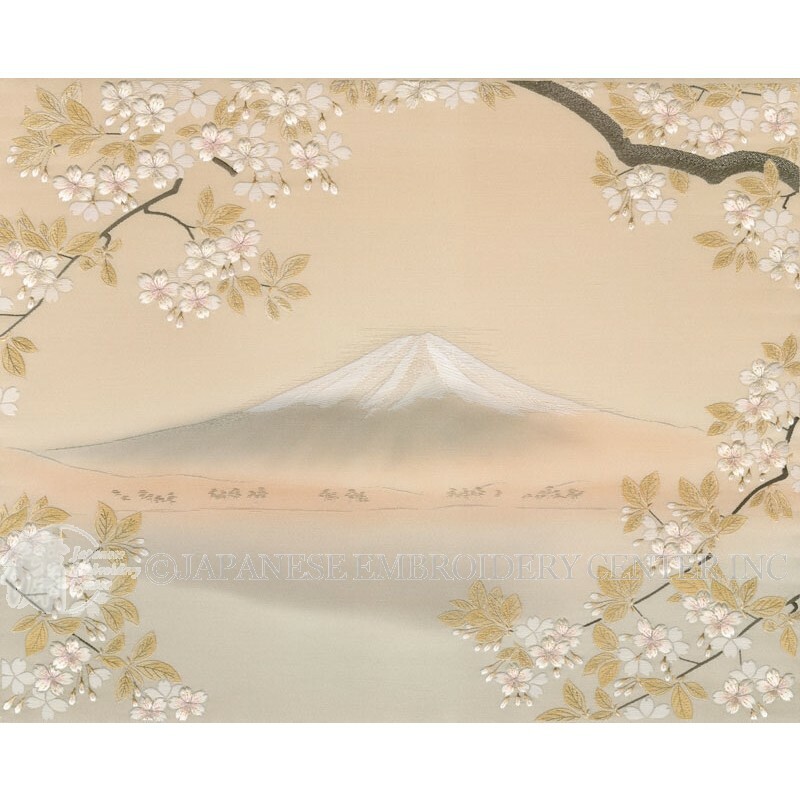 The moment of utmost pleasure for the teacher is to see completed pieces by her/his students. Witnessing these achievements gives stitchers and instructors an extraordinary joy. We encourage stitchers to bring their finished pieces to class in order to share them with us, or send us photos via email so we can post them to the website gallery. This will provide great encouragement to other stitchers, and engrave these moments in the gallery of your embroidery path forever. We are no way near the perfection expected to commemorate one’s life journey, but we earnestly wish that images of completed designs will be passed down to the next generation as they have been for the past 1600 years. Gunbai, or “war fan” is a fan-like device used by samurai commanders to direct troops during battle maneuvers, and as a symbol of rank. There is a famous duel between Takeda Shingen and Uesugi Kenshin, which took place at the fourth Battle of Kawanakajima in 1561. The Uesugi forces reached the Takeda command post, and one of the most famous combats in Japanese history ensued. Uesugi Kenshin himself, burst into the Takeda headquarters attacking the surprised Takeda Shingen. Unprepared for such an event, Takeda parried the sword with his gunbai as best as he could, and held Uesugi off long enough for one of his retainers, Hara Osumi-no-Kami, to spear Uesugi’s mount and drive him off. 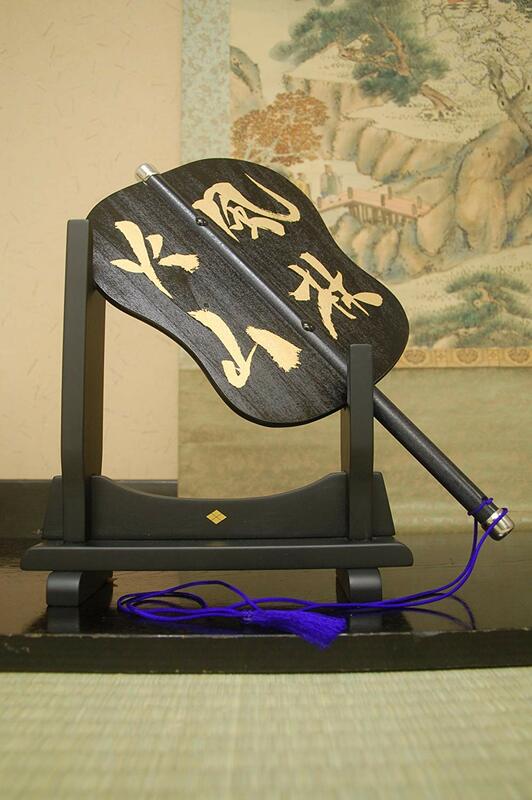 Nowadays, the gunbai is quite familiar as a Sumo wrestling referee’s device for conducting matches. 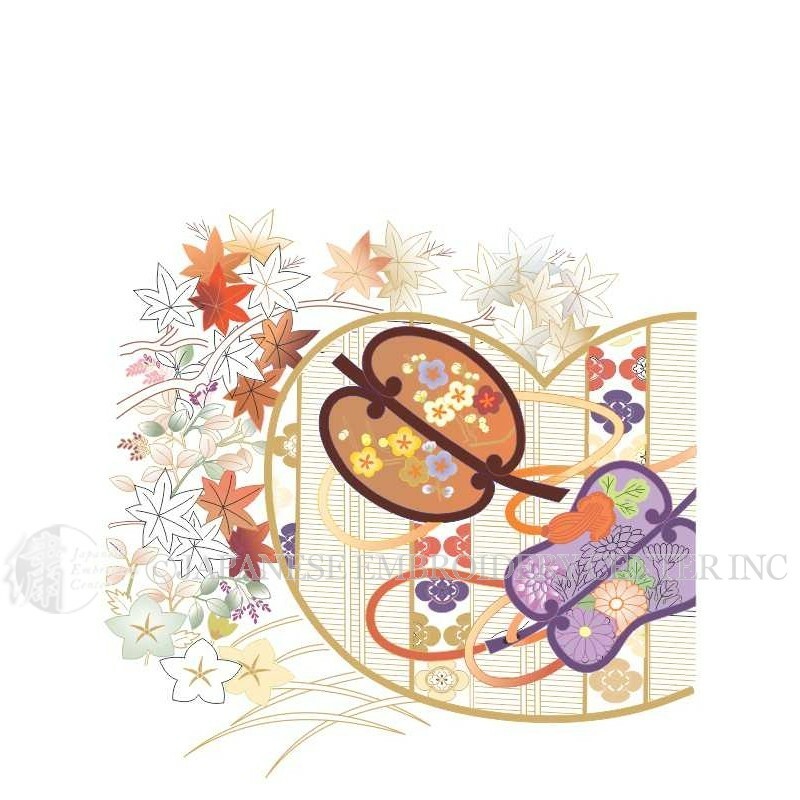 For this reason, the gunbai motif is used for boys’ kimono, demonstrating the wish that wearer will be a leader, full of intelligence and determination. 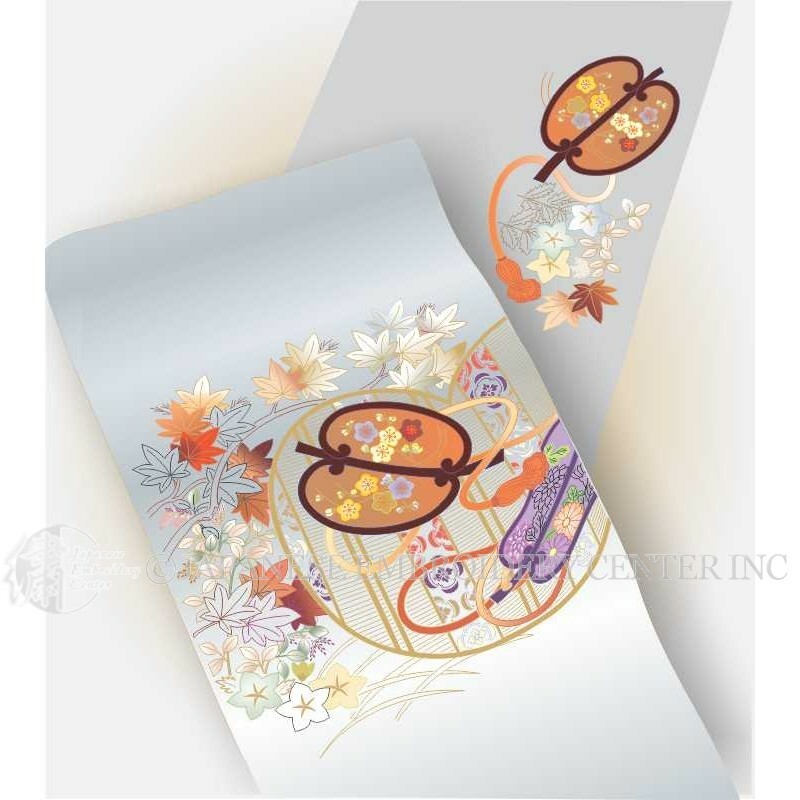 Also, this motif is used for ladies’ kimono and obi to wish for guidance during the ordeals and turning points of life. May the wearers be successful and achieve their aspirations. I hope this class will provide a good opportunity to study the place of gunbai in Japanese history, and experiment with traditional techniques used for this particular design. Very importantly, we wish to honor each stitcher for her/his accumulated endeavors in life. We will offer two versions, the design layout as seen on the photo (both back and front side of obi). And the second choice will be only backside of obi. We are very honored and thrilled to share this traditional, yet innovative design. Do you have a challenging project that you always hoped to tackle or an appealing project in your stash? This is the perfect time to work on it! If you wish to reserve your seat for Atlanta class which will be more than likely to fill up quickly, please register from below. The 2018 advanced class theme will be focusing on the landscape of Japan. There are so many scenery that have been loved and cherished for thousands of years such as Sacred Mount Fuji at Shizuoka/Yamanashi Prefecture and Gold Pavilion Temple at Kyoto. Also, some of landmarks are used for the symbol of hope. In one of the design “Heart like the Moon”, there’s ‘miracle pine’ located at Iwate prefecture that survived the tsunami driven by great earthquake occurred in 2011 in Japan. It has immortalized as a monument to the victims of the disaster. There are thousands of survivors who lost their families and have no strength to live. But this symbol of rare survivor is keep encouraging them beyond words. It is indeed a heart of hidden virtue like the moon that shines light silently on the darkness of this world of suffering. For those who live within a bustles of big cities, strolling in the bamboo forest will give you a completely different moment as “Heart like the Wind”. The time and place is filled with existence of nature that derives opportunities for deepening one’s life in place like Houkoku temple located at Kamakura, Kanagawa prefecture. We realize the scent of dirt which we have forgotten, walk under the sunlight filtering through leaves, and sometimes meditate under the grove of bamboos… As you become more conscious about it, spending time within the light and wind of bamboo forest will certainly brings something that is precious. It is invigorating like the wind which awaken within myself and others earnest wishes that go beyond self-will. There are several techniques that are used especially for the sceneries and we are thrilled to introduce them to you! If you wish to ask us for more details, please contact us. We will be waiting for your participation! You will also be able to start on your Fractal Project piece, which is growing in numbers now that we have more than 60 completed pieces delivered from Japan. 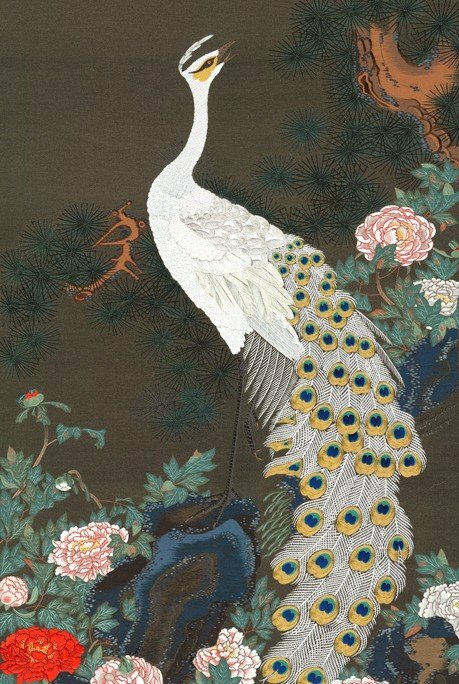 Ito Jakuchu (1716 – 1800), creator of the White Peacock, was an amazing artist whose life and work fits extremely well with the concepts of Nuido. His life was based upon the earnest wish for technical mastery of his art, sensitivity and spirituality. The Peacock and Phoenix are two scrolls in a group of 30 that became his masterwork, called the Colorful Realm. Over a period of approximately ten years, he painted nature with great technical skill, and his own personal style and spirit. For the year 2017, we will have the challenge of taking on the White Phoenix design, which officially forms a pair with the Peacock. It is wonderful, just as is the Peacock, but different. The Peacock is quiet, the Phoenix is full of energy. Both birds are considered holy birds in Japan. The mythical phoenix was associated with eras of benevolent rule. We also would like to welcome the stitchers who have already taken the Peacock class or would like to take it for the first time. We will prepare a new session to polish the skills you already learned, and work on the surrounding areas such as flowers, and pine tree. 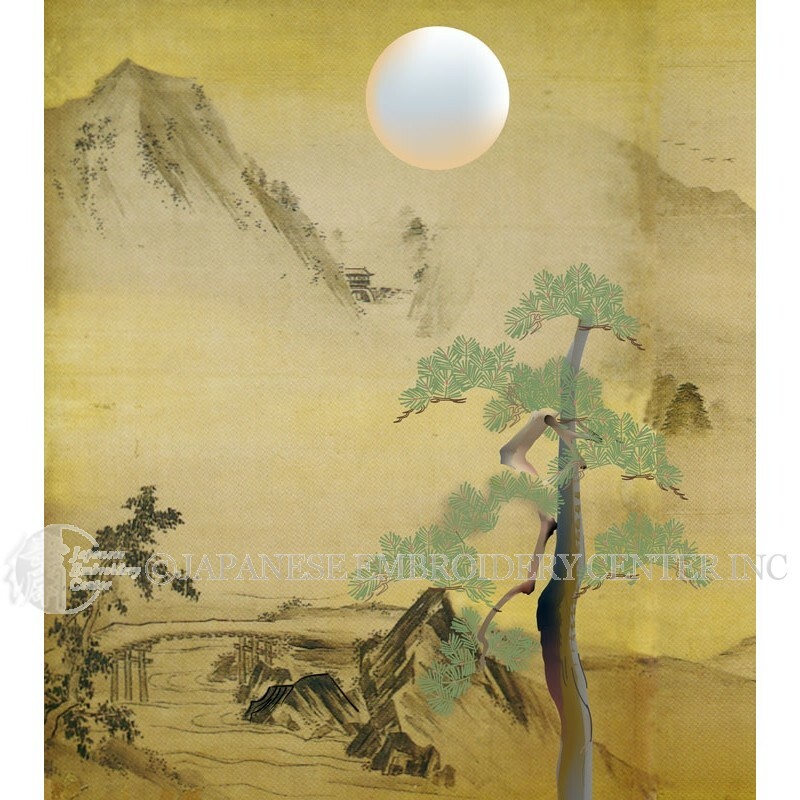 Another highlight for this class is Jakuchu’s Reverse Coloring (Urazaishiki). By applying paint to the backside of the artwork, he accomplished complex expressions using limited pigment he could get in that era. We applied this effect using dye (on front side) and further deepening his expression using silk and metallic threads. The image contains the new coloring effect on bird area (optional). Please contact us or visit our website for more details. Ito Jakuchu (1716 – 1800) is a well-known Japanese painter of the mid-Edo period, whose paintings examine traditionally Japanese subjects, particularly birds. Many of his otherwise traditional works display a great degree of experimentation with perspective, details, and with other very modern stylistic elements. To make this class a better experience for each stitcher, we made a trip to Japan and learned special methods of expression from Mr. Yamashita at the Kurenai-kai workshop. 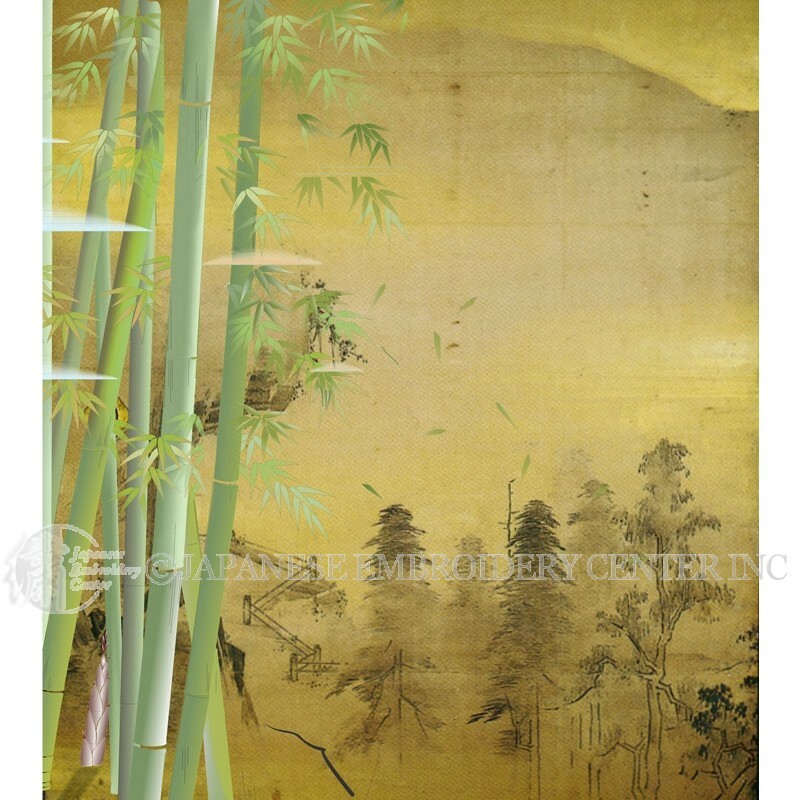 It is quite challenging to express the intricate brush strokes and distinctive expression of Ito Jakuchu, but interpretation with silk threads and metallic threads brings about new dimension to the path of Nuido. We are also preparing a stitching video. 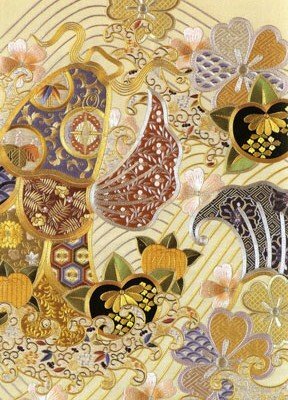 As for the fabric, we will be using Uchikake – Gold fabric which is wider than most standard-width fabrics. You have an option for gold leaf. If so, please submit fabric order 35 days prior to the desired shipment date, or the class date. As for Japan trip, we will announce you via JEC newsletter and Facebook as soon as we have an update. We are getting ready for our next Advanced Class at JEC, which will be held on March 2- 5, 2015. 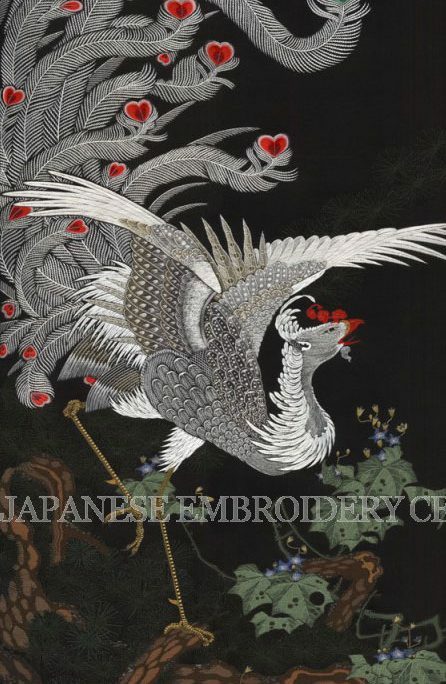 The main theme for the class will be Rising Carp which can be viewed on “Japanese Embroidery the World of Kurenai-kai” on page 62. Mr. Tamura applied dye on the fabric so that the small motifs, which were originally stitched with superimposed technique, can be now stitched directly on the dyed fabric. 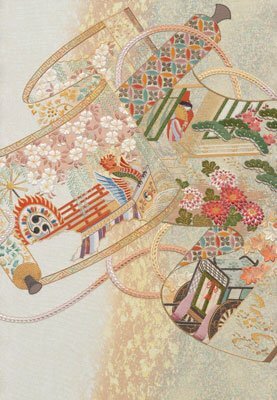 You will see that the richness and luxury atmosphere will still be maintained because of the dye, without the intimidating superimposed technique, which is considered one of the most difficult techniques in Japanese embroidery. 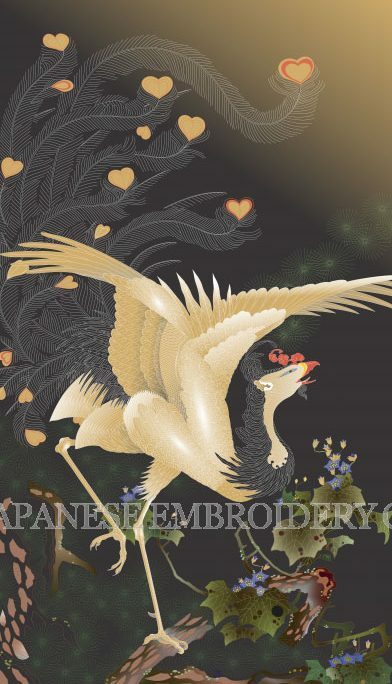 Please make sure to include Design “WKB08-062 Rising Carp” in the same cart OR you can attach/upload your Fabric Order Form on this page. 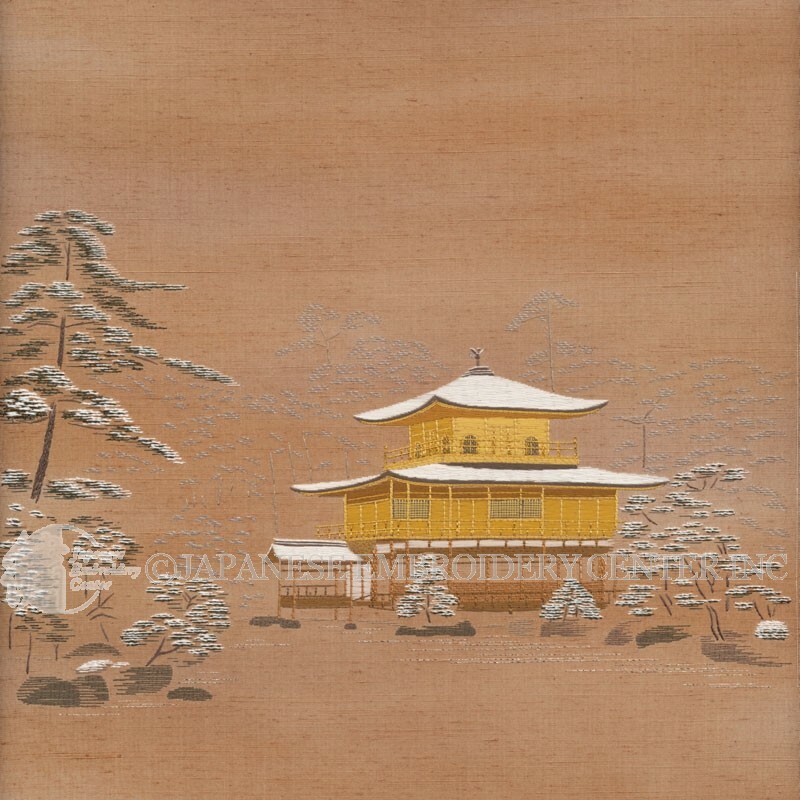 For the fabric, we recommend Nishijin – Gold/Silver with Color. Upon checkout, please select “JEC Pickup” for shipment. If you are not Georgia resident and if tax is not included in total, please note that you will be charged for 7% Georgia sales tax at the time of pickup. To reserve seat, please register from below option at least 15 days before the first day of class. Instruction: Click the item of your preferred date. Choose your membership, tuition, items, etc, then Click “Add to Cart.” Checkout with your preferred payment. Make sure you register with us to fully receive various services such as member discount on store etc. *A tuition refund minus $50.00 processing fee will be given for cancellation. 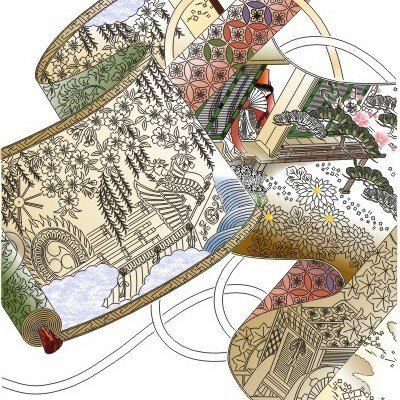 Another option will be working on the Fractal Project or another design you wish to bring, however, Mr. Tamura highly recommends working on this special theme to further deepen the traditional colors and history behind it. We are trying to reach a higher dimension through applying color on fabric. If you wish not to have the color applied, please indicate accordingly on online store or fabric order form. The theme for this year is the dimension and movement. By the combination of color (dye) and technique, we will take on a challenge to express the dimension and movement. Please make sure to include Design “WKB08-064 Playing with Scrolls” in the same cart OR you can attach/upload your Fabric Order Form in the registration page.